**Albacore Tuna Medallions 6 oz pkg contains 3-5 medallions from vitalchoice. Price: $239.99. Discount: $112.12. Categories: Food, Healthy, Fish, Tuna. Deal Rating: 5 Stars out of 5. Store Rating: 5 Stars out of 5. Deal Recommendation: Recommended. Available Until: Limited Quantity. 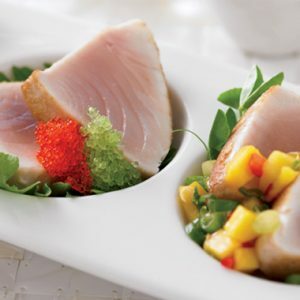 Thoughts: Bulk Savings – Albacore Tuna Medallions 6 oz pkg contains 3-5 medallions. Deal Score: 80 out of 100.